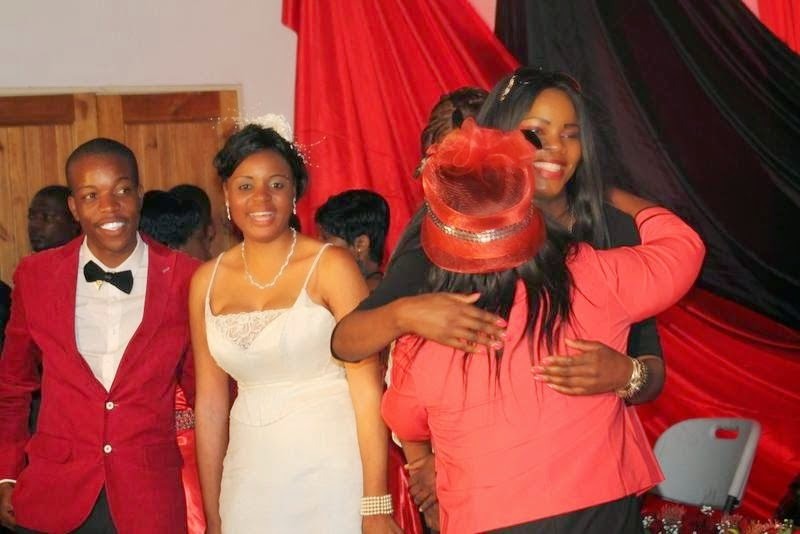 Sharon Macheso and Kudakwashe Munetsi’s marriage was riddled with squabbles from the onset, a witness told the court yesterday. In her evidence-in-chief led by prosecutor Ms Gayton Vhiriri, Sharon’s grandmother Mary Mutore, said the rift between the two escalated three days after their wedding. Munetsi, who is being charged for contravening the Domestic Violence Act, appeared before magistrate Mr Tavonga Mutetwa for continuation of trial. Ms Mutore was the second and last witness in the matter. She is the same woman Munetsi alleges is a traditional healer responsible for calming Sharon’s violent behaviour. After the State closed its case, Munetsi’s lawyer Mr Charles Chikore notified the court of his intentions to make an application for discharge. Ms Mutore said that when she received a call from Sharon telling her that she had been assaulted by Munetsi, she quickly rushed to the house. “Kubva pavakachata just after three days vanhu ava vakabva vatanga kunetsana, but I was not happy with the daily altercations as I wanted peace to prevail in the house,” she said. “Sharon called me saying she was being beaten up by Kuda and I quickly rushed to the house. Upon arrival, I noticed that some of her things were outside the house. I got into the house and saw some blood stains on the fridge which I later learnt had come from her finger which had been injured during the scuffle,” she said. She added that when she saw Sharon, her face was red and swollen and her finger was bleeding. Sharon said that although she was brutally attacked, she did not bleed. During cross-examination by Mr Chikore, Ms Mutore admitted having discussed with Sharon what she had said in court while testifying. “From the way you are answering questions, it shows that you met with Sharon and she told you what she had said in court and that you should collaborate with her,” Mr Chikore said. She added that when she was packing Sharon’s belongings into the car, she then saw Munetsi holding an electrical cable threatening to commit suicide. Mr Chikore accused her of lying and said that her evidence was hearsay as she was not present when the assault occurred. He said Ms Mutore was exaggerating facts to suit Sharon’s testimony. Mr Chikore asked Ms Mutore if she was a traditional healer and in response she said that did not have any relevance to the matter in question. The prosecutor objected to Mr Chikore’s line of questioning arguing that he was attacking Ms Mutore’s character. The magistrate ruled that the question be rephrased. Mr Chikore had no kind words for Ms Mutore, Sharon and Nyadzisai. “The three of you, you are a greedy lot and you are the same people who squandered all the money from the wedding. Sharon is the one who is a monster because she is the one who assaulted her husband as you are very much aware that she is a violent woman,” he said.